At Merchants Bank, we are happy to welcome new employees and celebrate new positions filled by current staff. These frontline employees are all looking forward to serving you. Take a moment to congratulate them. Jackson Hinck has joined Merchants Bank as a Part Time Teller in Rochester. Jackson previously worked at Dairy Queen and attended UW-Eau Claire. He excited to join the Merchants Bank team. Bethany Nelson joined Merchants Bank as a Part Time Teller in Cannon Falls. Bethany is a junior at Cannon Falls High School and previously worked at the Cannon Golf Club and Cannon Kids. She enjoys playing tennis and painting. McKenna Papenfuss has joined Merchants Bank as a Part Time Teller in Winona. McKenna previously worked as a Manager at Rogan’s Shoes. She is currently a student at Winona State University majoring in Biology and has lived in Winona her whole life. McKenna enjoys running and reading in her free time. Paulina Riech has joined Merchants Bank as a Part Time Teller in Lakeville. Paulina previously worked at Kohl’s as a Sales Associate. Paulina is from Slovakia and is married with three children. In her free time, she enjoys cooking, gardening, and spending time with her family. In its first 26 years, the “10 Days of Giving” food drive has collected 2,608,182 pounds of food through monetary donations and the donations of non-perishable food items. We need your help this year to meet our goal: To collect enough food to ensure that nobody in the counties we serve will go hungry during the winter. Please join us in the following Merchants Bank communities for events to support the 10 Days of Giving (click on a specific location for more information). Also, keep in mind that typically the best way to support your local food shelf is through cash donations because of local food shelves’ buying power. Thank you for your generosity! December 1-10: Change Collection – Merchants Bank staff will be collecting your loose change in their lobby with the donations going to Cannon Falls Food Shelf. December 1-10 – Cottage Grove will be holding its “10 Days of Giving” to benefit the Friends in Need Food Shelf. You can bring cash donations or toiletry items to Merchants Bank in Cottage Grove or any participating school or business. Date/Time – Thursday, December 10 at 5:45 p.m. Location – South of the Sieben Bridge, in front of the Youth Service Bureau. Don’t miss performances by Doc Walter and Kira Isabella. Santa Claus will stop by and there will be entertainment, snacks and refreshments for everyone. December 1-10 – Hastings will be holding its “10 Days of Giving” to benefit Hastings Family Service. Bring cash or food donations to Merchants Bank in Hastings or any participating school or business. Date/Time – Wednesday, December 9 at 8:30 p.m. Location – Canadian Pacific Depot, 500 E. Second Street. December 1-10: Change Collection – Merchants Bank staff will be collecting your loose change in their lobby with the donations going to Red Wing Area Food Shelf. December 1-10: St. Charles will be holding its “10 Days of Giving” to benefit Southeastern Minnesota Resource Center. Bring cash or food donations to Merchants Bank in St. Charles or any participating school or business. Drop off items at Merchants Bank in Winona, Goodview or Lakeside or any participating school or business. Donate online by going directly to the Winona Volunteer Services website. Indicate “10 Days of Giving” after entering your name. Time/Date – Friday, December 4 from 5:00-7:30 p.m.
For only $10, get your choice of batter-fried or broiled cod, choice of baked potato or fries, coleslaw, dinner roll and refreshments. Tickets available for purchase at Merchants Bank. Time/Date – Saturday, December 5 at 9:45 a.m.
See the “Polar Express” or “National Lampoon’s Christmas Vacation”on the big screen. Tickets available at Merchants Bank: $4/person, $20/family, 5 and under free. Concessions also available for purchase. Date/Time – Saturday, December 5 at 5:30 p.m. Location – 6th Street in downtown Goodview. Come watch the Holiday Lighted Parade and bring monetary gifts or non-perishable food items to place in barrels along the parade route. Enjoy Christmas cookies and hot chocolate will be at Merchants Bank on Sixth Street. After the parade, meet Santa and Mrs. Claus at the Elk’s Lodge..
Date/Time – Sunday, December 6 at 2:00 p.m. The Winona State University Symphonic Wind Ensemble, under the direction of Dr. Donald Lovejoy, and the Winona State University Chamber Orchestra, under the direction of Dr. Paul Vance, will perform their annual Holiday Concert. Admission is free with the gift of food or monetary contribution. Time/Date – Monday, December 7 from 5:00-8:00 p.m.
Rocco’s Pizza in Goodview will be donating 10% of all sales from 5:00-8:00 p.m.
Date/Time – Tuesday, December 8 from 5:00-8:00 p.m.
Culver’s will be donating 10% of all sales from 5:00-8:00 p.m.
Date/Time – Wednesday, December 9 at 4:00 p.m. Location – Winona Amtrak Station. Canadian Pacific Railway’s “Holiday Train” will make a stop in Winona. Entertainment, cookies and refreshments will be provided. Attendees are encouraged to make a non-perishable food or monetary donation. A&W will be donating 10% of all sales on December 9. Jefferson’s will be donating 10% of all sales on December 10. Date/Time – Thursday, December 10 from 5:00-7:00 p.m.
Pet lovers, get your pet’s photo taken with Santa for a $10.00 donation and a non-perishable food item. Choosing a High Deductible Health Plan for 2016? With the New Year in sight, it’s also the time of year most people review their health insurance plans and make changes. If you’ve ever wondered about Health Savings Accounts (HSA), here’s our guide to the most frequently asked questions we get about this type of account. If you have a qualifying high deductible health plan, you can use an HSA to save for future medical expenses. Merchants Bank’s HSA offers the return of a savings account with the convenience of a checking account. Who can have an HSA? How and when do I contribute to an HSA? employer, or both, each year the account owner is eligible. Total contributions are limited annually and can be made up to the amount of the plan deductible, not to exceed annual limits. Contributions can be made as late as April 15 of the following year, like an IRA. However, all contributions will be assumed to be made for the current tax year unless deposited in-person and designated for the prior year by completing a Previous Year Contribution form. How do I determine my HSA contribution? Annual contribution limits change from year to year. Visit http://www.irs.gov to determine your eligible yearly contribution or consult your tax advisor. What can I spend my HSA money on? The money in an HSA is to pay for any “qualified medical expense” permitted under federal tax law, including medical expenses for yourself, your spouse or your dependent children. You may use your HSA to pay for expenses incurred by your spouse or dependent children even if they are not covered by a high deductible health plan. For a complete listing, please visit http://www.irs.gov or consult your tax advisor. Any amounts used for purposes other than to pay for “qualified medical expenses” are taxable as income and may be subject to tax penalties; tax penalties in certain situations, such as attaining age 65, do not apply (consult your tax advisor). Apply for an HSA now. To learn more, visit our website or talk to a Customer Service Representative at your local Merchants Bank. Attend our Holiday Open Houses in December! Our staff invites you to join them at these great events throughout December. Be sure to follow us on our Facebook page for information on these events or pictures from other events you may have missed. Vote for your local food shelf on our Facebook page to help them win a top donation of $5,000. See how you can support local food shelves through the “10 Days of Giving” at participating Merchants Bank locations. Please join us for cookies and refreshments in our bank lobby. Please join us for cookies and refreshments in our bank lobby. Pictures with Santa will be held from 2:00 – 5:00 p.m. Please join us for homemade cookies and refreshments in our bank lobby. On December 9, we’ll be holding an Ugly Sweater Contest. 11:00 a.m. – 2:00 p.m. Please join us for a light lunch and refreshments in our bank lobby. We will also be collecting donations for the 10 Days of Giving. Please join us for cookies and refreshments in the bank lobby. We will also be collecting donations for the 10 Days of Giving. Please join us for cookies and refreshments in the bank lobby. Please join us for cookies and refreshments in our bank lobby. Live music will be performed throughout the day by area schools. Please join us for cookies, coffee and holiday spirit in our bank lobby. Stop by and have a member from the Merchants Bank Rochester team wrap your holiday gifts. Proceeds benefit Habitat for Humanity. Please join us for cookies and refreshments in our bank lobby. Piano music will be performed 2:00-4:00 p.m. by Elizabeth Schriever. Please join us for refreshments in our bank lobby. Swipe Out Hunger is a Merchants Bank initiative to support local food shelves in our communities. Food shelves are nominated by our branches and receive a donation based on the number of votes cast through our Facebook page. The total possible donation will increase based on the number of times our customers use their Merchants Bank debit or credit cards between November 30 and December 10. Scott Busch has joined Merchants Capital as a Territory Manager. Scott has 19 years of experience in the commercial equipment finance industry with SLS Financial Services, Trans Lease Inc., and Key Equipment Finance. Scott is married with a 16 year old son and 13 year old daughter. He enjoys watching his kids play sports, as well as attending other sporting events. Kelly Donohoe has been promoted to Lead Teller in Lakeville in addition to her role in Customer Service. As Lead Teller, Kelly will be responsible for overseeing the Lakeville Teller team. She joined the Merchants organization in 2012 as a Part Time Teller in Apple Valley. Jim Peterson has joined Merchants Bank as a Commercial/Ag Banker in Cannon Falls. 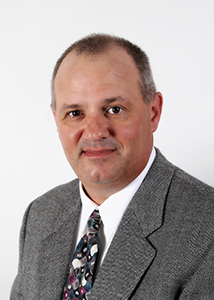 Jim has 16 years of commercial lending experience, working both in North Dakota and Minnesota. In addition to serving the needs in the Cannon Falls area, Peterson will also work with Ag customers in the Rochester area. Jim and his wife, Tina, are looking forward to being are looking forward to being active members of the Cannon Falls community. Should My Business Pay Employees Through Direct Deposit? In 2014, 77% of business payment fraud occurred in the form of paper checks. * Did you know that you can help prevent fraud and provide a benefit to your employees by implementing one simple solution? The answer is direct deposit. What is direct deposit? Direct deposit of payroll is the electronic transfer and deposit of employees’ net pay to their bank accounts anywhere in the U.S. through the Automated Clearing House (ACH) system. You, or your payroll processor, provide the Bank with your employees’ net pay information. Then we process your payroll file and deposit your employees’ paychecks into their bank account(s). Many of our customers find it easier and quicker to generate ACH files using Merchants Online Banking. Your employees’ net pay is deposited automatically into their account(s) at the opening of bank business on pay day and is immediately available as cash. Your account is debited for the total net pay amount. It’s that easy. According to Paychex, direct deposit can save a business anywhere from $2.87 to $3.15 per check. ** Depending on the size of your business, this could amount to thousands of dollars each year. To get started with direct deposit for your business, contact your local Merchants Bank. Are you unsure about how to set up a payroll system for your business? Read this article from the SBA and then talk to one of our local Cash Management experts.